Daniel Cormier is a current Light Heavyweight UFC Champion. He is the former two-time XMMA Heavyweight Champion and a former Strikeforce Heavyweight Champion. Daniel Cormier is currently 40 years old according to his date of birth March 20, 1979. Daniel Cormier is known for attractive wrestling throws. He can lift his opponents 2 meters in the air and slam them hard off the ground. His boxing is excellent, and he mostly connects right uppercut and left hook. DC knows to land a right high kick and low kicks, but he prefers boxing. He is probably the strongest fighter in the history of Light Heavyweight. In the clinch, Cormier looks for an attractive slam or a right knee to the head. Daniel Cormier is a former third-place winner in the Freestyle Wrestling World Championships. 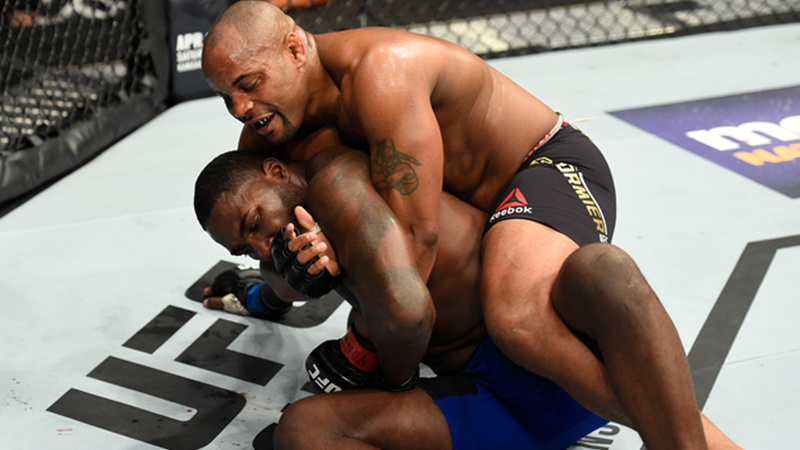 On the ground, Cormier delivers an endless barrage of hooks and maintains mount position as long as possible. Despite he is one of the smallest fighters in the division, he strikes very hard and his punches are very dangerous. He is also a master of a rear-naked choke (4 victories). Daniel Cormier had his MMA debut at Strikeforce Challengers: Kennedy vs Cummings, on September 25, 2009, as a Heavyweight competitor, and he defeated Gary Frazier via TKO in the second round. 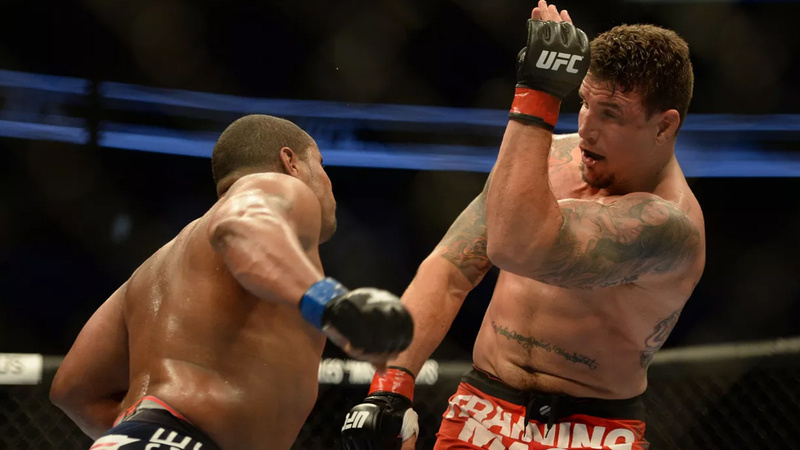 DC defeated some notable opponents before signing UFC – Soa Palelei, Josh Barnett, Antonio Silva, Devin Cole… When he signed for the UFC, he had a perfect score of 11-0. Daniel Cormier had his UFC debut on UFC On Fox 7 against Frank Mir, on April 20, 2013, in San Jose, California. DC won via unanimous decision. His next opponent was Roy Nelson at UFC 166 on October 19, 2013, and Cormier won again via unanimous decision. Daniel Cormier had his Light Heavyweight debut at UFC 170 on February 22, 2014, in Las Vegas, Nevada, against Patrick Cummins, in the co-main event of the evening. DC won after 1:19 in the first round via TKO, and this was the fastest victory of his career. 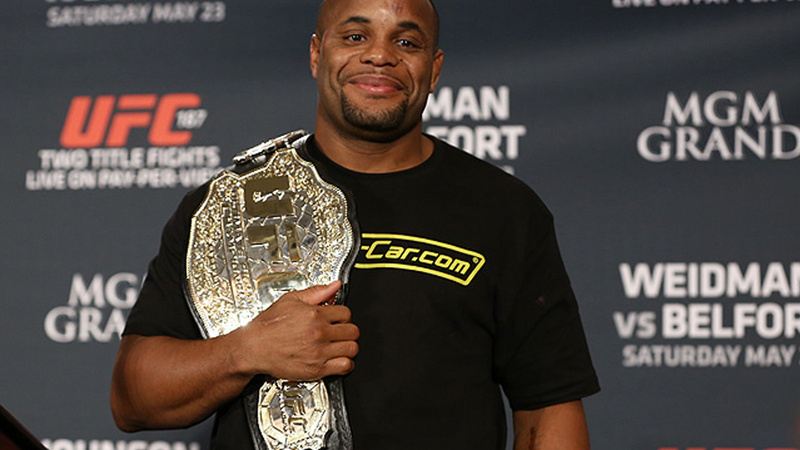 In the collision of two wrestlers, Daniel Cormier was more successful at UFC 173 on May 24, 2014. In the co-main event of the evening, he defeated Dan Henderson via rear-naked choke in the third round. All DC’s next fights, except the ones against Anderson Silva and Volkan Oezdemir, were the main events of the evening. The fight was taken on January 3, 2015, in Las Vegas, Nevada. His opponent was Jon Bones Jones. The fight was pretty much one-sided, and Jon Jones was the winner via unanimous decision (49-46, 49-46, 49-46). This was Cormier’s first main event of the evening and the only loss of the career. He also earned a Fight Of The Night bonus. Daniel Cormier got the chance to fight for the belt at UFC 187 against Anthony Johnson, on May 23, 2015, in Las Vegas, Nevada. 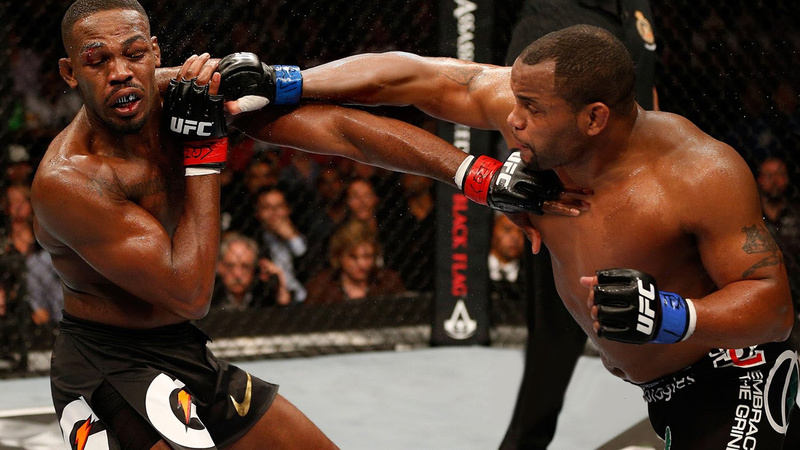 In the early seconds of the fight, Johnson delivered a stunning overhand right which sent Cormier to the ground. However, DC recovered and won the fight in the third round via rear-naked choke, winning the title. He also earned Performance Of The Night award for the first time. 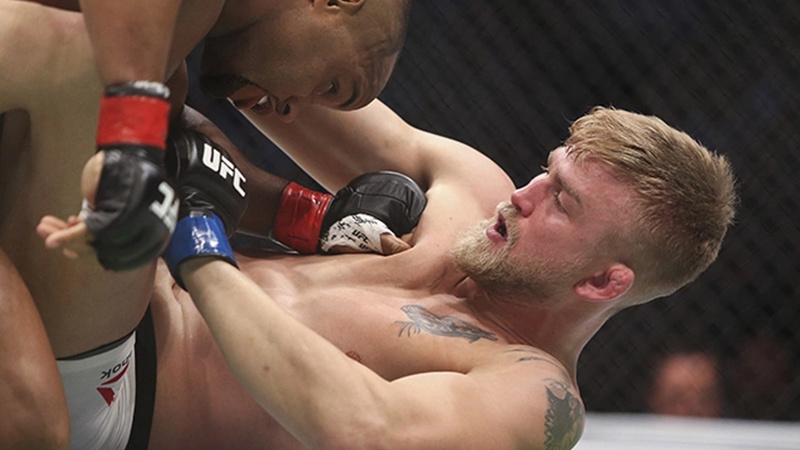 In the first title defense, DC fought Alexander Gustafsson at UFC 192, on October 3, 2015, in Houston, Texas. This was the hardest match of his career. Daniel Cormier won via split decision after exhausting five rounds. Both fighters received the Fight Of The Night bonus. In a non-title fight, Cormier faced Anderson Silva at UFC 200 on July 9, 2016, in Las Vegas, Nevada. 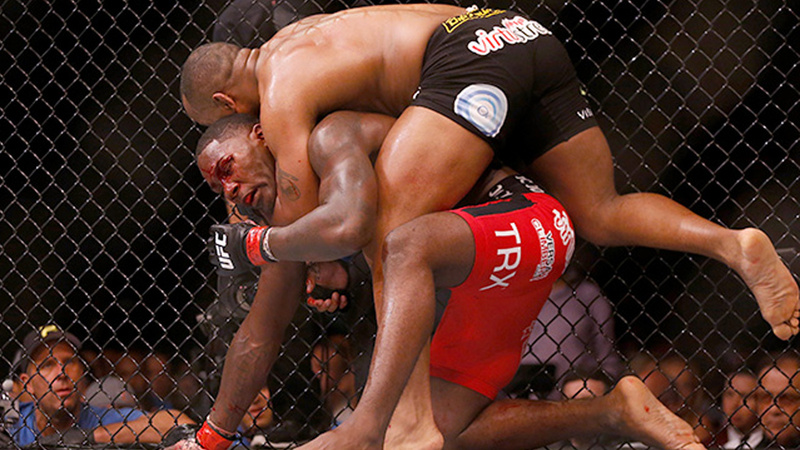 Anderson Silva was landing great kicks and punches, but Cormier’s defense was just perfect. DC controlled the fight and won via unanimous decision. Daniel Cormier was defending the title for the second time against Anthony Johnson on April 8, 2017, in Buffalo, New York. Cormier had 1.2 pounds more, but he was allowed the second weigh-in, which he passed. Despite Johnson is a striker, he adopted grappling-based fight, surprising the UFC world. Cormier defeated him in the second round via rear-naked choke. The two faced on July 29, 2017, in Anaheim, California. 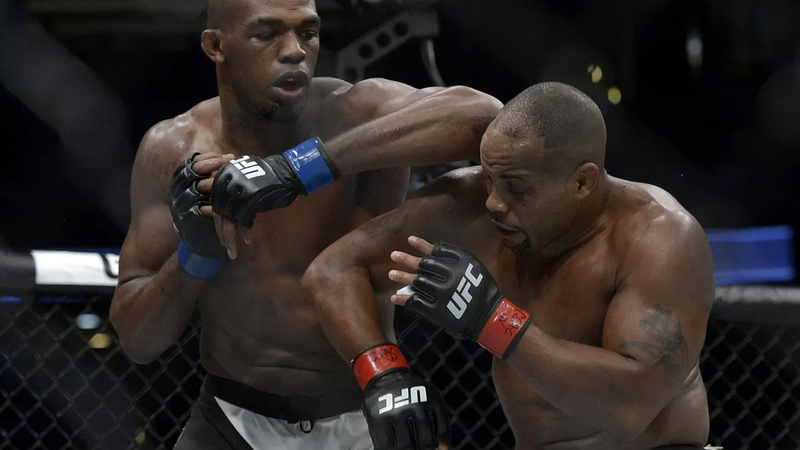 Originally, Jon Bones Jones defeated Cormier via KO after left high kick and a barrage of punches. Cormier was very emotional after the fight, saying that there was no rivalry if Bones won both fights. However, Jones was tested positive on Turinabol later and the fight is overturned to no contest. The title was returned to Daniel Cormier, and Jones was suspended. In the next fight, Cormier was defending his title against a Swiss superstar, Volkan Oezdemir. They fought at UFC 220 on January 20, 2018, in Boston, Massachusetts. DC defended the title via TKO in the second round, earning another Performance Of The Night Bonus. Daniel Cormier is scheduled to face Stipe Miocic at UFC 226, in a Heavyweight Title Fight. Daniel Cormier is married to Salina, and they have a daughter and a son. He was previously married to a woman named Robin.